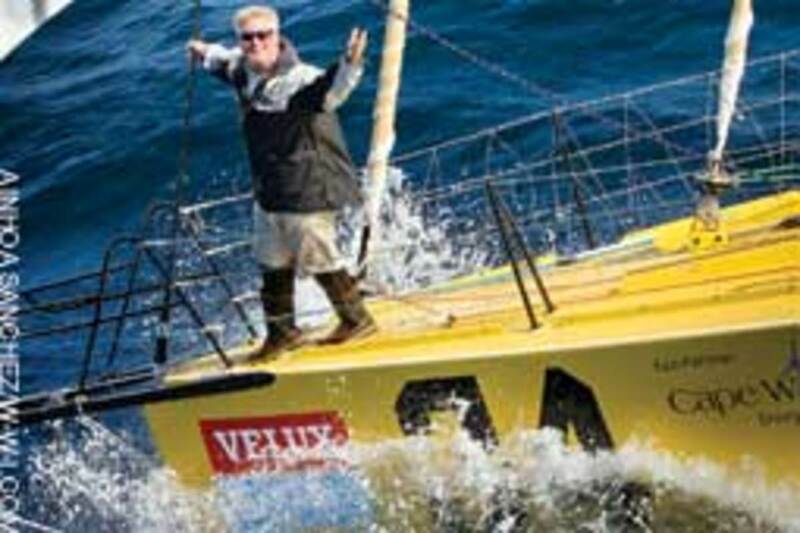 Sailing 30,000 miles around the world alone on a 60-foot boat is a daunting task, but Brad Van Liew, the only U.S. entry in the Velux 5 Oceans Race, just takes it in stride. In fact, the Charleston, S.C., sailor left Wellington, New Zealand, on Feb. 6 on the third leg of the race, bound for Punta del Este, Uruguay. He is expected to make the 5,800-nautical-mile trip in about 21 days, so as you read this he should have rounded Cape Horn and be safely in port. He and his Eco 60 raceboat, Le Pingouin, are to depart March 27 from Uruguay, bound for his home port of Charleston, a 5,700-nautical-mile trip. 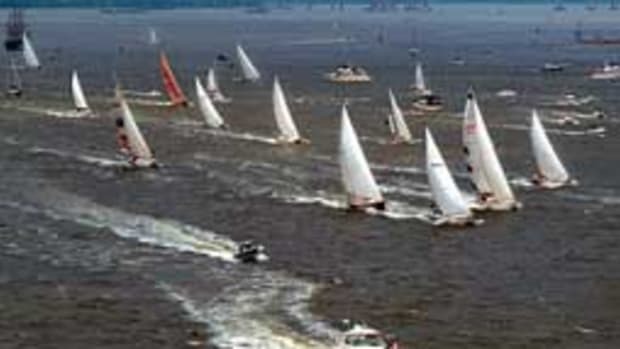 It&apos;s the last leg before the final sprint from Charleston back to La Rochelle, France, for the race finish. 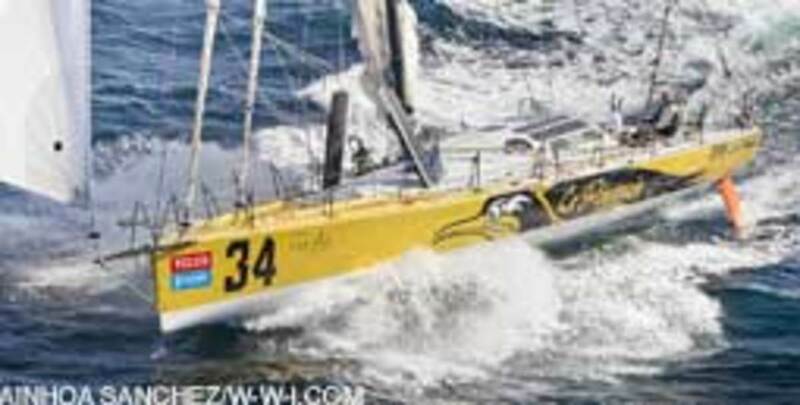 He took first place on the first leg from La Rochelle to Cape Town, South Africa, and repeated that performance from Cape Town to Wellington. Van Liew is an energized, take-charge sailor who is no stranger to around-alone racing. He took third place in the 1998 Around Alone race with Balance Bar, an Open 50. In 2002 he won Around Alone, again on an Open 50, Tommy Hilfiger Freedom America. This time, however, there are significant differences, especially in his view of the world. In 1998 only he and his wife, Meaghan, were involved, and he wanted to prove he could finish the race. He raced hard and with little regard for equipment and safety. Four years later his daughter Tate was 4 months old, and although Van Liew maintained his competitive edge, he was basically racing to get home. The Van Liew family now includes a son, Wyatt, and the Velux 5 Oceans is a family adventure, with Meaghan and the children joining Van Liew at each port - which is good and bad. When the start from Cape Town was delayed, Van Liew was on edge, keyed up and ready to go. When the start finally came on Dec. 16, he recalls that the hardest part was saying "goodbye and merry Christmas" to the kids on the dock. "I never feel good about missing Christmas with them. I had a lot of mental anguish that week, and that takes a lot of fun out of racing." 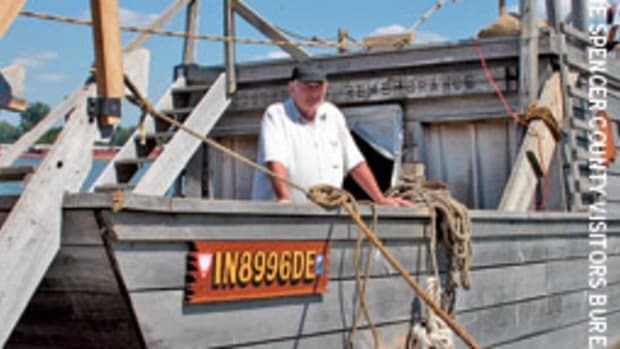 On Christmas Day, he realized, "I have done 25 percent of the last 10 years at sea for Christmas. It never seemed this hard. It&apos;s clearly more difficult now because I feel I am losing precious time with my children." Although he and Meaghan came up with a number of sponsors, they still have no major corporate sponsor. "We&apos;re limited on dough, but we&apos;re doing as much as we can to set the boat up for safety," Van Liew says. The other aspect of the financial limitations is that Meaghan, Tate and Wyatt might return to Charleston instead of joining him in Uruguay. "I&apos;m so looking forward to getting back to Charleston and seeing friends," he says, contemplating flying up to Charleston during the break in the race. Van Liew also seems more reflective, noticing more about his surroundings and life in general. "The racing routine seems easier than it has been in the past," he says. "Maybe it&apos;s because I realize how fortunate I am to do it ... or maybe it&apos;s just that I&apos;m older." This time around, he doesn&apos;t feel the pressure to win as much as he did in 2002-03. 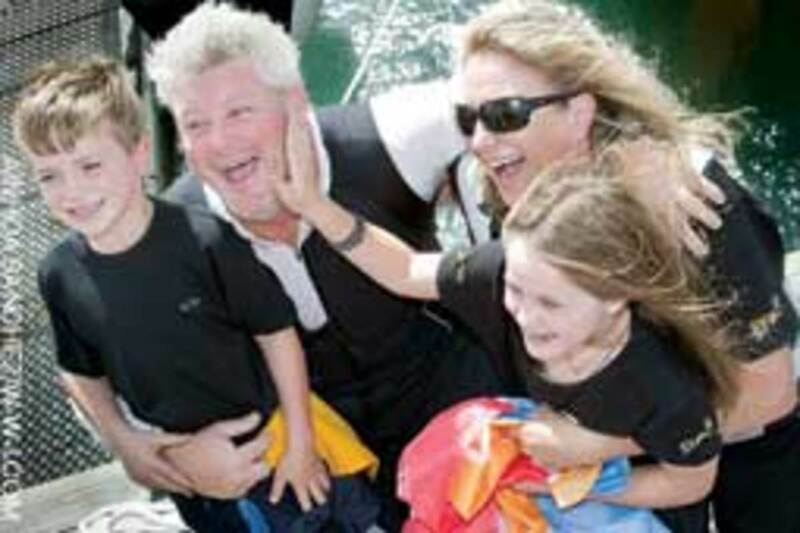 "I&apos;m having fun with it and genuinely enjoy being offshore. I&apos;m racing as hard as I can, but enjoying the experience more," he says. He celebrated his 43rd birthday on Valentine&apos;s Day after crossing the international date line, happy that "Neptune has delivered a 25-knot reach as a birthday gift." The race has been no piece of cake. After a great start from La Rochelle, flying downwind with full sails, the racers encountered a large low-pressure system before getting into the trade winds. After battling upwind approaching Cape Town, the wind "took one hour to go from 40 knots to nothing." Thinking about the first leg, he says, "The start was amazing, but I had to get my head around being alone out there. The finish in Cape Town was also hard because I enjoyed being out there alone." Departing from Cape Town, Van Liew was "bashing upwind in 25 to 35 knots of wind," yet a day later the fleet was practically becalmed. It was not until Christmas that Le Pingouin was finally sailing downwind in northwesterly winds. In early January the fleet was hit by another low-pressure system with big seas, followed by a high-pressure system from Australia that went all the way across to New Zealand with very light winds. The third leg has seen the racers battle the leftover winds and seas from tropical cyclone Zaca, then more upwind, sailing through the Roaring Forties. 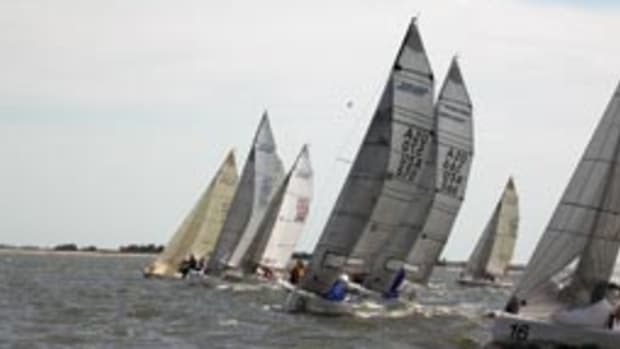 As of Feb. 14 Van Liew was 3,500 nautical miles from the finish in Uruguay and 114 miles ahead of Zbigniew Gutkowski, his nearest competitor. On New Year&apos;s Day he wrote on his blog that he was "ringing in the new year in the middle of nowhere with no champagne, no woman to kiss at midnight, no ball dropping. ... I&apos;ll be pondering the meaning of life in what is forecast to be a moderate Southern Ocean sailing experience." Because race sponsor Velux works with sustainable building principles, including integrating daylight as a natural renewable source of energy through the roof to make houses carbon-neutral, Van Liew has become very conscious of sustainability and the state of the world&apos;s oceans. He says his boat, an Eco 60, is the "ultimate recycling plan for the older Open 60s" and stands for "ecologically and economically friendly." Any entry has to be built prior to January 2003. It can&apos;t be heavily modified; the number of sails is limited, as is the number of haulouts during the race, and the team can only have two full-time shoreside crew. In addition, "class rules reward teams using innovative ways to generate the electricity required to race around the world." As such, he hopes to complete the race using no fossil fuels. His two prototype hydrogenerators go a long way toward meeting that goal as they charge the batteries to run all of his electronics and self-steering. He has had issues with them, but thinks "it&apos;s a problem with the voltage mapping." He replaced the batteries after "frying" them on the way to La Rochelle from Charleston, and again on the leg to Cape Town. 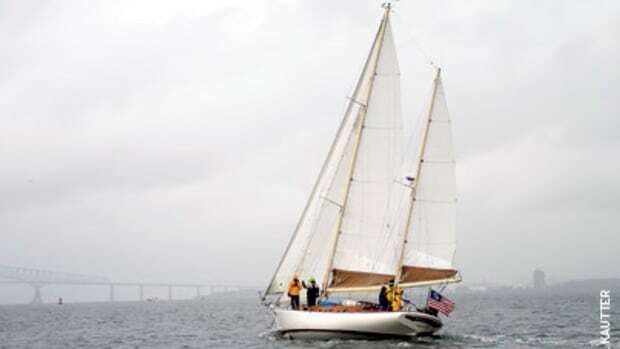 He says he has "more sailing time with this type generator than anyone else," having installed them before he took possession of the vessel and sailed it from France to refit the boat in Charleston, using them on two trans-Atlantic trips prior to the start of the race. Van Liew explains that Zbigniew Gutkowski, a competitor from Poland, has a cruising version of the generators. They&apos;re "easy and reliable, generating 30 to 40 amps at 7 to 8 knots, but we&apos;re usually doing 12 to 20-plus knots," Van Liew says. He&apos;s glad to have them because "it&apos;s nice to sail with no engine noise." Racing from South Africa to New Zealand, Van Liew reflects that "some very odd and unpredictable things are happening in our oceans." 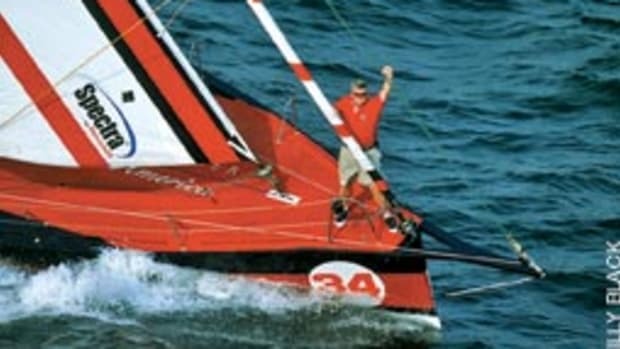 He sailed "deliberately farther north than ever before because the Antarctic convergence zone (ice zone) is hundreds of miles farther north" than it was during his first sail in the Southern Ocean in 1998. "The birds are far less in numbers than I have ever experienced, and the whales ... well, we all know that story," he notes. His warning to the rest of us? "The human body is something like 60 to 80 percent water, isn&apos;t it? We better start taking care of our oceans or they aren&apos;t going to be here to take care of us."